It’s been a long time coming but finally a new blog post! Every now and then we get a yearning for something like fish and chips, but as anyone who knows us is aware its very rare that we actually buy ready made food and junk food is a no go area as it always makes me feel ill afterwards. So yesterday while discussing what to have for dinner I declared that I’d really, really love some fish goujons (or fish fingers) and Gary agreed to make some for me. We had them with some very simple home-made tartare sauce, some salad leaves, lemon quarters and some home-made spelt bread, but it would work just as well with chips and peas. You need 3 shallow bowls or deep plates. 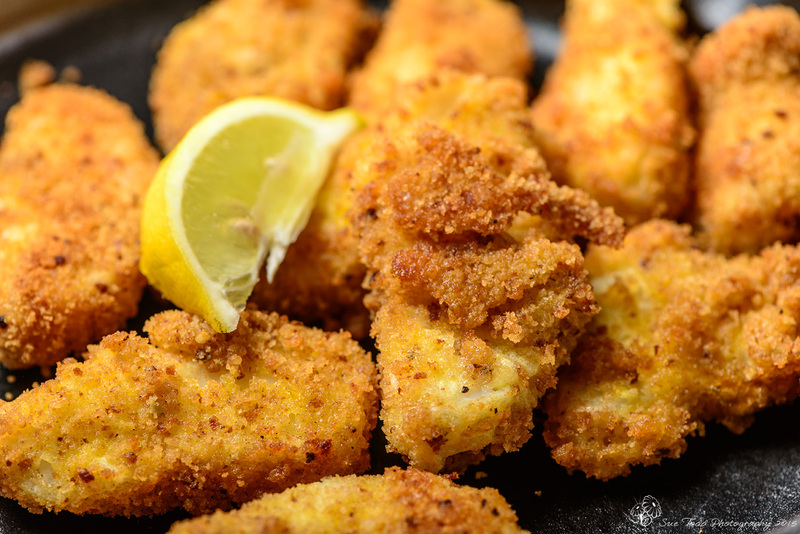 Put some flour in one (you need just enough to coat the fish – a couple of tablespoons will do), beat your eggs and put them in another and pop the breadcrumbs in the third bowl. Cut your fish into ten equal slices. Heat the oil to about 375 degrees in a frying pan. Coat each piece of fish in floor then dip into the egg and then roll them in breadcrumbs. Deep fry in the oil until golden brown. Lift out onto a plate covered with kitchen roll to drain. This is very much a cheat’s version for a fast turnaround for supper, and omits ingredients like the mustard and cornichons that many traditional recipes call for. This was simply dinner in a hurry. So just mix the ingredients together, crushing the capers as much or as little as you like and place in bowl to serve. Easy! 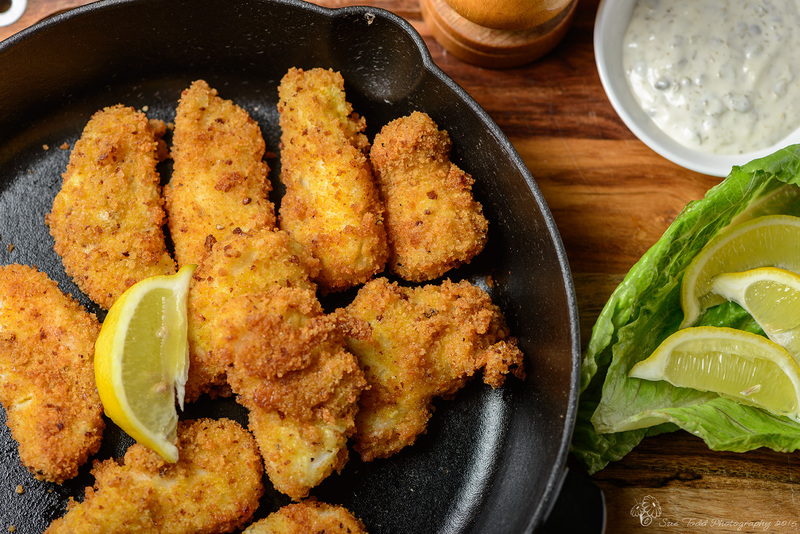 Serve your fish goujons and tartar sauce with quarters of lemon, salad leaves and homemade spelt bread. Alternatively, make some sautéed potatoes or chips and serve with peas. This entry was posted in Food, Meals and tagged Fish on December 15, 2015 by Sue Todd.